McInerney has won the James Beard MFK Fisher Award for Distinguished Writing for his wine columns and has published three acclaimed books about wine: Bacchus and Me (which sold over 40k copies), A Hedonist in the Cellar, and The Juice: Vinous Veritas. 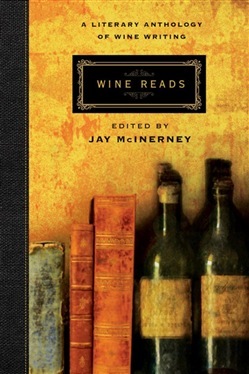 Edited by Jay McInerney, a longtime and highly praised wine columnist (for Town & Country, Wall Street Journal, and House and Garden), an entertaining and delectably literary anthology of fine wine writing, including fiction and nonfiction selections by Kermit Lynch, A. J. Liebling, Roald Doahl, Jancis Robinson, Terry Theise, Bianca Bosker, Joseph Wechsberg, Martin Walker, and many others—the first anthology of its kind. Wine Reads will have a beautiful, elegant package, and we are publishing in November—making it a perfect Christmas buy. We will expect significant coverage from both the wine/food media and the literary media. Acquista Wine Reads in Epub: dopo aver letto l’ebook Wine Reads di ti invitiamo a lasciarci una Recensione qui sotto: sarà utile agli utenti che non abbiano ancora letto questo libro e che vogliano avere delle opinioni altrui. L’opinione su di un libro è molto soggettiva e per questo leggere eventuali recensioni negative non ci dovrà frenare dall’acquisto, anzi dovrà spingerci ad acquistare il libro in fretta per poter dire la nostra ed eventualmente smentire quanto commentato da altri, contribuendo ad arricchire più possibile i commenti e dare sempre più spunti di confronto al pubblico online.